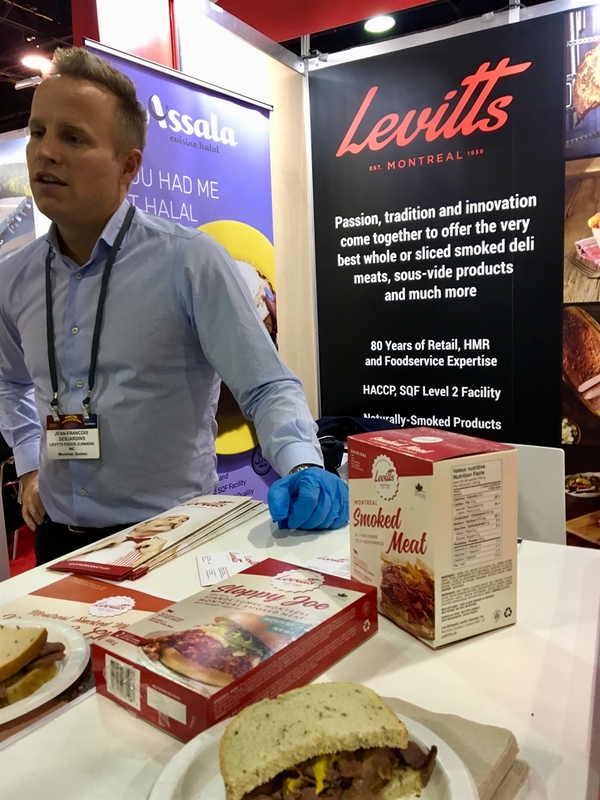 David J. Fraher, Président d'Arts Midwest, et Kerith Brand, attachée aux affaires publiques et gouvernementales à la délégation du Québec à Chicago. 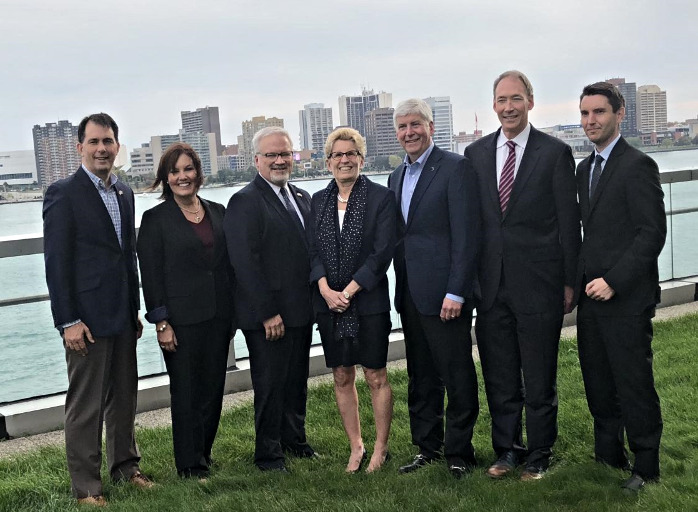 / David J. Fraher, President and CEO, and Kerith Brand, Public and Governmental Affairs Officer for the Quebec Government Office in Chicago. 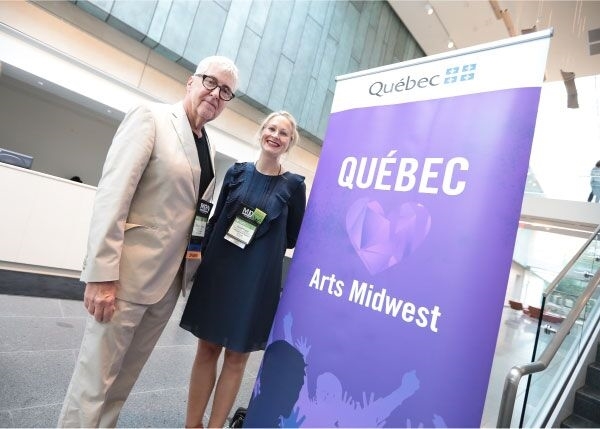 For the eighth year, the DQC sponsored the opening night reception of the conference, giving Québec artists great visibility. The conference was the perfect occasion for the DQC’s public and governmental affairs officer, Kerith Brand, to promote Québec performing artists and spread the word about the Office's cultural services, which include sending presenters to attend festivals and showcases and providing promotional and financial support to venues that include Québec companies in their programming. Click here to view the one pager our office created for the conference that highlights the Québec artists represented by agents present in Milwaukee and lists the key festivals taking place in Québec in the upcoming year, and click here to visit our YouTube channel.